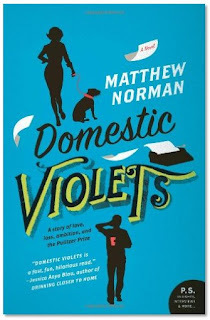 I'm pleased to announce that my novel, Domestic Violets, has been nominated in the Best Humor Category at the 2011 Goodreads Choice Awards. I've never won an award before, and, judging from the other nominees in this category, I don't see it happening here, but my team of assistants and ghostwriters and I would certainly appreciate your vote. Just click on the link below. Also, if you know any Goodreads nerds who have read the book, please feel free to pass this along to them, too. And if you don't have a Goodreads account, you should sign up for one. It's free, and, in the year 2011, you really can't call yourself a nerd without one. I've voted for you in Best Humor and I also did a write-in for Best Fiction. :) Good luck! 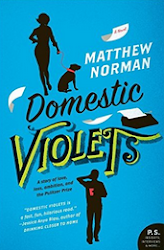 I'm reading Domestic Violets and I'm really enjoying it. I like the writing, the story and the style. 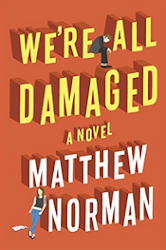 It is a very funny and fun book. I missed the voting on Goodread but I gave it some stars in the review section. The world is changing. I got Domestic Violets on my Kindle from my wife who borrowed it to her Kindle from the Oakland Public Library. Do library ebooks put money in your pocket I hope. I also enjoy your blog. Hi, Jack. Thanks for the note. Keep spreading the word. This reminds me that I really need to do some more blogging. 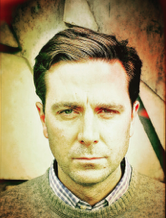 I'm working on my next novel, and it's sort of sucking the life out of me...in a good way. As for libraries...well, let's just say they're better for readers than for writers.